I’m Hannah Nicklin, Writer and Narrative Designer at Die Gute Fabrik, and I’m delighted to be able to announce Mutazione via this brand-new teaser trailer. 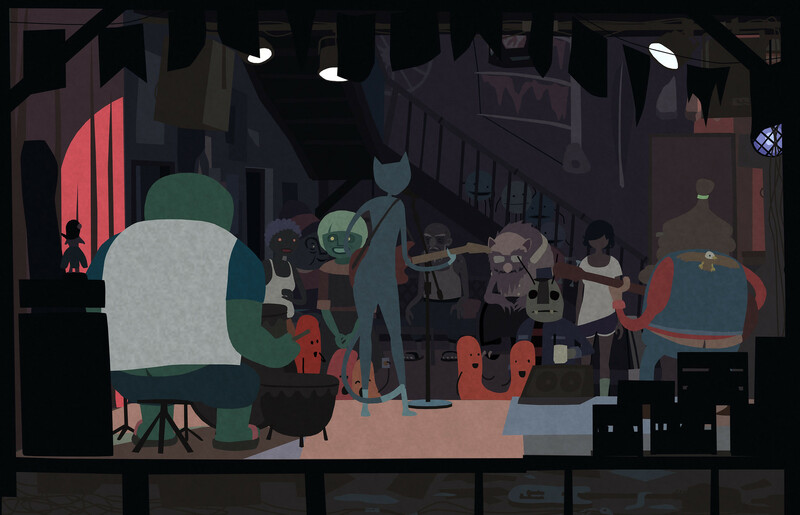 Mutazione is an adventure game where the juicy gossip is just as important as the supernatural ‘adventure’ part of the game. The game is full of colorful dialogue, distinct character voices, and irresistibly tangled love-lives. It draws on the ensemble cast format of storytelling in favorite television shows such as Star Trek: Deep Space Nine, Twin Peaks, Grey’s Anatomy, or Bojack Horseman. Over 100 years ago, a great meteor named Moon Dragon struck a tropical holiday resort. Most of the inhabitants perished but those who didn’t remained in the mutating environment and founded the small community of Mutazione. Die Gute Fabrik is a Denmark-based studio who have been making games for almost a decade. You might know us from Sportsfriends, Johann Sebastian Joust, and Where is My Heart. 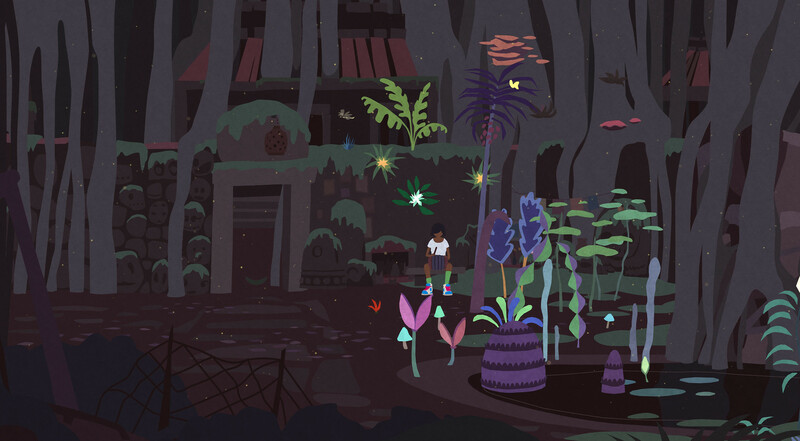 We make games that are handcrafted, fresh-feeling, offbeat, and which tell personal stories, and Mutazione is our most ambitious game yet. I have been working as Writer and Narrative Designer on this game for over three years, but the story itself is much longer-lived, having been in Creative Director Nils Deneken’s imagination for over a decade. His beautiful illustration and design fills notebooks and paper scraps going back years. Being handed the story-world of Mutazione has been a huge gift. Alongside an excellent and dedicated team, we’ve been able to develop and structure it around those first fledgling ideas into something full of dramatic twists and turns, rich characterization, and a lush hand-illustrated world. The game also revolves around a generative musical “gardening” mechanic, which we hope to tell you more about soon. But for now, we’re designing a world we hope you’ll want to spend time in, and we’re writing characters we hope you’ll be eager to get to know. You can play an exclusive demo of Mutazione at Day of the Devs at Game Developers Conference (GDC) March 18-22, 2019, or at the Sony booth at PAX East, March 28-31, 2019.